Control access to files and programs. Is there a better alternative to MacPermitWizard? Is MacPermitWizard really the best app in Security category? Will MacPermitWizard work good on macOS 10.13.4? Version 1.2.0: Release notes were unavailable when this listing was updated. MacPermitWizard needs a rating. Be the first to rate this app and get the discussion started! MacPermitWizard is a powerful security software that controls the access to your files, folders and applications. You can lock your personal files with passwords by creating simple permissions, in order to stop other users from peeking into your record. Moreover, you can protect sensitive system files from modification or destruction, control application execution processes, and prohibit the execution of critical programs and utilities. 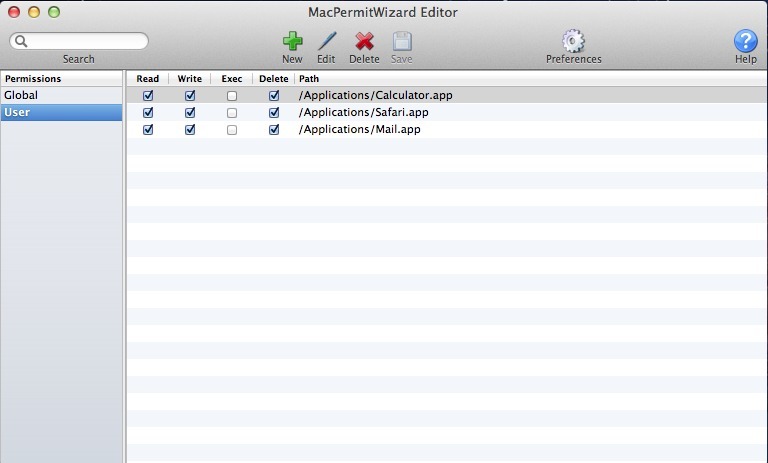 Locked files or folders are visible to users, but are protected from access by MacPermitWizard permissions. None can read, write, delete, or execute the locked file or folder. The sub-folders and files in a locked folder are also protected. MacPermitWizard does not modify or encrypt the protected files, thus it will never slow down the system, and will not endanger your data. Admin password protects MacPermitWizard itself, none can change Global permissions or uninstall MacPermitWizard without admin password.